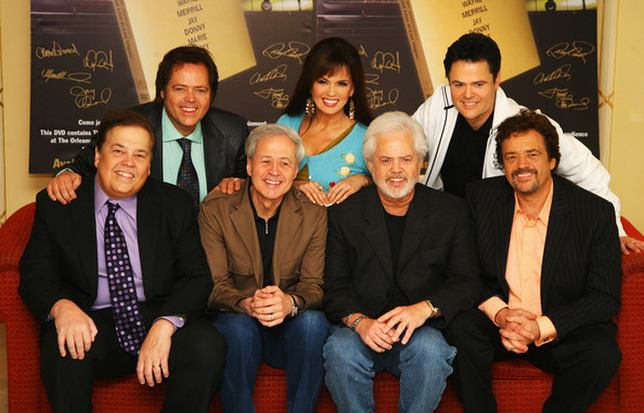 The Osmonds are a large family that has performed together since childhood. Many are now grandparents, and yet they’re still performing. Their wildly successful career changed music and created a level of excitement not seen since the Beatles. Their musical training began when they were very young. Each child took lessons in one instrument and then had the responsibility of teaching that instrument to all their siblings. With a family that would eventually include nine children, this kept music lesson costs low, but allowed the family to play a large number of instruments. Every week, during Family Night, they sang together as a family and had family performances. The two oldest brothers were deaf. The next four oldest-Alan, Wayne, Merrill, and Jay, were trained by their parents to sing four-part harmony in their musical family. The four boys sang in church, and eventually at local events. They were a hit because they were so young-ages three to eight. Their mother found someone who taught them to sing barbershop harmony and they soon began getting paying jobs. The initial purpose of these jobs was to save money for the boys to serve church missions when they turned nineteen. Young men serve for two years away from home at their own expense. Girls can also serve for eighteen months when they turn 21, usually when they graduate from college. They also raised money to buy hearing aids for their two oldest brothers. The father of singer Andy Williams saw them on television and arranged for them to audition for his son’s new television program. They moved to California after being offered a five year contract. Donny Osmond joined the group on the program just before his sixth birthday for a brief appearance that led to a contract of his own. In the 1960s, the boys began recording various types of music. When Williams’ show ended, they began to tour. They did two years on a show starring Jerry Lewis, and when it ended, they determined to focus on their music, rather than television. In the 1970s, they had their first hit record, “One Bad Apple.” The Jackson Five and the Partridge Family were making clean-cut groups of young performers popular. They became especially popular in England, leading to events that rivaled those that had surrounded the Beatles in their day. In time, that same “Osmondmania,” as it came to be known, spread to the United States. The two youngest siblings, Marie and Jimmy, joined the group as well. Today, many of the brothers have relocated to Branson, Missouri, where they perform regularly. Donny and Marie each have solo careers in music and television. The Osmond family stood out from many performers of their day because they were clean-cut in an often immoral business. They were a close knit family, with fans referring to their parents as Mother and Father Osmond. They were Mormons, a fact which generated a great deal of attention from curious fans. The family’s official websites all speak candidly about their religion. It was never something they shied away from. In fact, in the 1970s, as the height of their career, they released an album called “The Plan,” based on the Plan of Salvation taught in their church. This was very popular in England and has recently ignited a resurgence of interest. Donny Osmond has a large section of his website devoted to learning about his faith in a non-pressuring way. He even answers questions personally that are sent to him there. On this site, he says, “I believe in Christ and I know that He is the Only Begotten Son of our Father in Heaven in the flesh. He came to earth, preached His gospel, took upon Himself the sins of all men and women, was crucified, and paid such a dear price for our sins. He was resurrected on the third day, and because of it, all men and women everywhere will be resurrected and live immortally. I know that our Father in Heaven loves us and is eager and anxious to bless all of His children, and does so from day to day.” Read his complete testimony on Donny.com. They are very involved in various charity efforts and have a number of non-profit organizations within the various branches of the growing family. Alan Osmond and his wife have started a non-profit called “TheFamily.com” in which they work to strengthen the family and promote traditional values. They also head OneHeart.com helps charities work together to raise money and awareness for good causes. 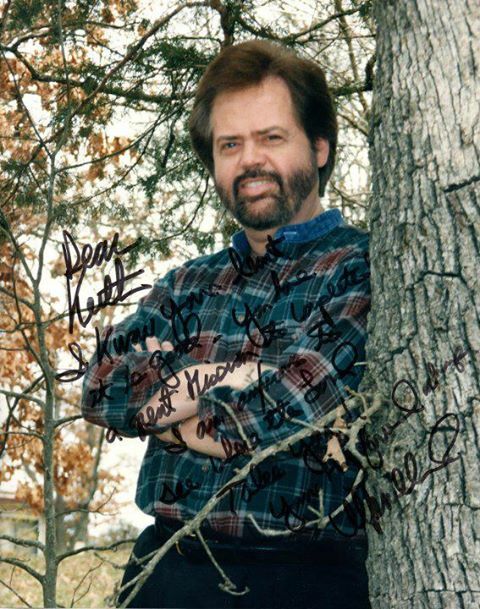 The Osmond Foundation grew into the well-known Children’s Miracle Network. Merrill’s son, Justin, who, like his two uncles, is deaf, began the Olive Osmond Hearing Foundation to help provide hearing aids for those who can’t afford them. This was a return to the original purpose of the Osmond Foundation. Book: Life Is Just What You Make it by Donny Osmond and Patricia Romanowski, Hyperion, 1999. Alan, Wayne, Merrill, Jay and Donny sang five part harmonies in competition with the Jackson Five. Originally formed in 1967, hits included: “One Bad Apple,” “Double Lovin’,” “Yo Yo,” “Down By The Lazy River,” “Crazy Horses” and “The Proud One.” Probably their most ambitious moment came with the evangelical concept album, The Plan, in which they attempted to express their Mormon beliefs. The group officially disbanded in 1980.